At WElink Energy, we are passionate about the positive contribution of renewable energy to combatting climate change whilst diversifying our planet away from fossil fuels. With global demand for energy continuing to soar, it is imperative that we, as a society, continue to develop new technologies and sources to meet that demand, and do so in a sustainable and environmentally friendly manner. We believe that WElink Energy, in our capacity as a leading developer of utility-scale solar energy projects, is playing a small part in the global solution. Working with global leaders in the renewables sector, and with our long-standing partner, China Triumph International Engineering Company Limited (“CTIEC”), WElink has established a highly successful development, EPC, and O&M track record. We deliver solar PV projects across the globe in both developed and emerging markets, whilst in tandem working closely with our financial partners to deliver world-class investment performance and asset-management for the benefit of all our stakeholders. Working with our strategic partners, WElink is a full-circle energy organisation centred on design, execution, and asset-management excellence. Over the past decade, our team has continually demonstrated its competence through the successful delivery of challenging projects in very diverse markets. Our success in the energy arena has been rewarded through our longstanding cooperation with globally renowned industrial partners and institutional investors. With a firm track record of delivering PV Projects throughout Europe and South-East Asia, WElink Energy is embarking on exciting opportunities in new growth markets across the globe. WElink delivers its projects under bankable EPC agreements, sources suitable EPC financing, and assumes responsibility for design and build, with an option for Operation & Maintenance. Post completion, WElink continues to manage the asset both operationally and financially over a PPA of long-duration. Passionate about moving the world towards an energy future dominated by sustainable solutions. John re-joined WElink in March 2017 having previously been with the Group in the earlier years. He is currently Chief Executive for WElink Energy. Prior to rejoining the Group, John spent 7 years with Det Norske Veritas Germanischer Lloyd (DNV GL) Group, the world-leading classification, certification and advisory company, where he was initially CFO for GL, and subsequently DNV GL Oil & Gas following a merger in 2013. John is an experienced executive in the finance, mergers & acquisitions and corporate re-structuring areas having operated at Board and Executive level in Group and Divisional CFO roles at DNV GL, DCC plc, Georgia Pacific Inc, GSK plc, KPMG, and Shell Group plc. John is a fellow of the Chartered Association of Certified Accountants, he holds an Executive MBA from INSEAD, an MBA from Bradford University Management School, and a BSc in Psychology and Management from Imperial College, London. 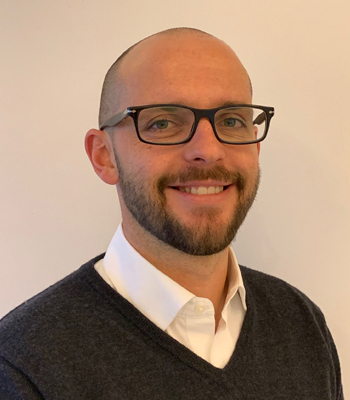 Fintan joined WElink in December 2018 to head up the finance function for WElink’s energy business. Fintan was previously Group Financial Controller and Company Secretary of Gaelectric Holdings plc, an Irish wind developer and energy trading company. Prior to his role in Gaelectric, Fintan worked for over 4 years in Australia culminating in a role as Group General Manager in Transfield Holdings a PE investment vehicle whose investments included energy generation, property and significant infrastructure assets. Fintan graduated with a first class honours Bachelor of Science in Accounting degree, holds a higher diploma in Corporate Finance and is a Chartered Accountant having trained with EY in Cork, Ireland. 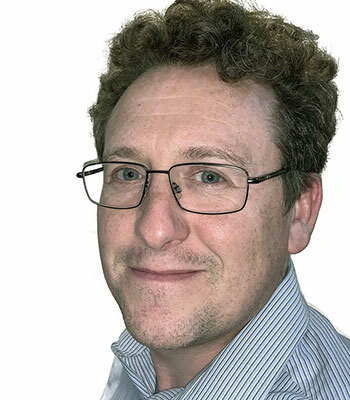 Andrew joined WElink Group in 2016 when he was responsible for the all the commercial activities in the UK and he has been responsible for the disposal of over 450MWs of solar assets to a variety of Infrastructure Funds. His current focus is on supporting execution of the Group’s pipeline and managing the framework agreement with the Group’s preferred investment partner and the sale of assets through this agreement. 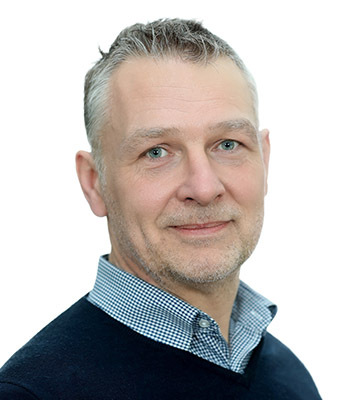 Andrew has worked in the renewable energy sector for over seventeen years in a variety of roles, principally as Finance or Managing Director in companies such as TCI Renewables, B9 Energy and Kinetica Energy which were developing renewable assets in the UK, Ireland and North America. At TCI Renewables Andrew was responsible for the acquisition, development and PPA from Hydro Quebec for 115MW of wind assets. During his tenure at B9 Energy Andrew successfully increased the number of wind assets under management to 479, making B9 the largest independent O&M contractor in the UK at that time. Andrew is a certified accountant and Fellow of the Chartered Certified Accountants. Angelo joined WElink Group in 2013 in a Chief Operations Officer role and presently is General Manager for WElink Energy’s Italian business. Angelo has developed all the operational activities in WElink related to solar power plant projects – both development and construction – with focus on the economic assessment, legal contracts and technical aspects both in the acquisition and realisation phases. 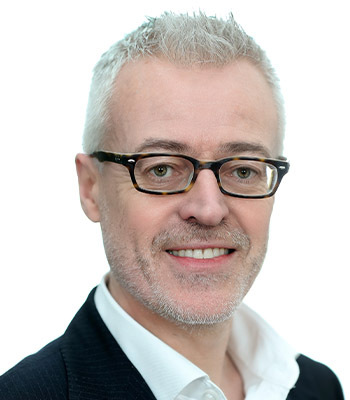 He has accumulated wide experience in the renewable energy sector with extensive international activity over more than 20 years and has held several positions in the development and management of energy companies and projects, from the start-up phase through to the longer-term investment management. Prior to joining WELink, Angelo worked as a senior manager in several European based multinational companies, with strong interaction to many major Chinese players. He has successfully supported several significant investments in the energy sector, both in the areas of manufacturing facilities as well as power plants. Angelo holds a B.C.E. and achieved his MBA in 2000. 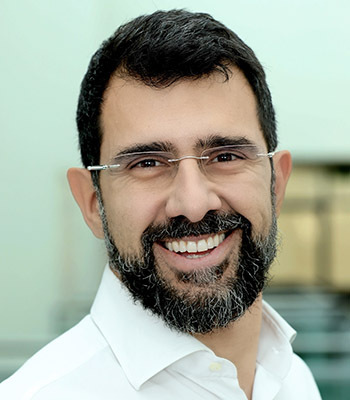 Eduardo joined WElink in 2013, initially leading product development and innovation within the Group. His role evolved into a leadership position in the Iberian business where he played a key role in the delivery of WElink’s first 2 solar projects in Iberia, one of which is the largest unsubsidised solar project in Europe. Eduardo has over the past 3 years set up and developed WElink into the Iberian energy market, securing a very strong pipeline of 1.5 GWp solar projects in Iberia. He has been promoted to a group role as Chief Technology Officer in response to the group’s strategy to be an industry technology leader and to drive our technology roadmap that will enable our growth targets and maximize our competitiveness in the energy markets. Prior to WElink Eduardo spent over 16 years in the renewable energy sector, with broad experience in photovoltaics and wind. He has project managed and built more than 200MW solar installations across Europe including turnkey EPC and financing. Having started his career as a Project Manager in BP Solar, he then worked as Engineering Director for a Dutch multinational, and later he joined Chinese multinational LDK Solar where he was Country Manager Iberia, originally as Head of Global Customer Service and latterly as Head of Global Product Development. Eduardo holds a Bachelors Degree in Telecommunications and a Bachelors Degree in Electronics Engineering from Ramon Llull University, Spain. He also holds a Masters Degree in Project Management from George Washington University and a MBA from EADA, Spain. Breandan joined WElink in 2008, significantly developing the business’s technical expertise and project delivery. Prior to WElink Breandan spent 12 years in product engineering, technical due diligence and procurement in Asia. An initial 5 years was spent working with Taiwanese companies in developing overseas key accounts through product enhancements before establishing the Asian operation for part of DCC Healthcare, bringing over 200 new products from design through to manufacture. Breandan’s fluency in Chinese (Mandarin) supports him as a very experienced contract (both supply and EPC) negotiator for European companies with Chinese partners. Breandan holds a B Eng from University College Dublin, Ireland. 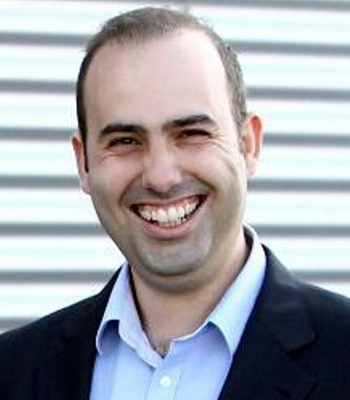 Mohsen originally joined WElink in 2017 and, following a brief absence to complete his MBA, returned to the Group in July 2018 in his current role of Business Development Manager – Middle East and Africa (MEA). Mohsen and the MEA team are responsible for the growth of WElink’s renewable energy and sustainable housing pipeline in emerging markets, with a focus on co-creating solutions together with development and investment partners. Mohsen has more than 7 years of experience across the energy value chain, having spent the bulk of his career before his MBA with Shell. His commercial experiences have spanned strategy, business and market development, economic valuations, and financing structures, across both the Oil & Gas and Renewables spheres. He has led the development of energy infrastructure projects in several regions, including South Asia, the Middle East, the Eastern Mediterranean, East Africa, and Iberia. 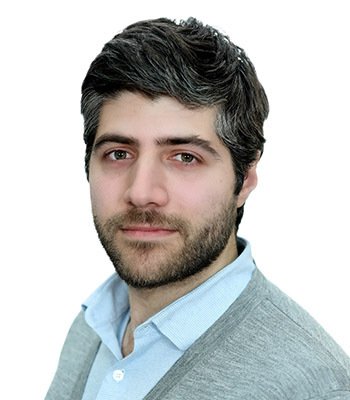 In his most recent position here at WElink, Mohsen acted as an Investment and Finance Associate, helping to create our route-to-market strategy for our Iberian projects prior to and during the IPP process, including the identification of suitable PPA counterparties and the creation of various financial models. Mohsen holds a BSc in Government and Economics from the London School of Economics and an MBA from London Business School. Andrew joined WElink in his current role in June 2018. Andrew was previously a Corporate Finance Director in PricewaterhouseCoopers (PwC) with a national remit within the Infrastructure and Government team, and he was a recognised subject matter expert in relation to the UK housing sector. 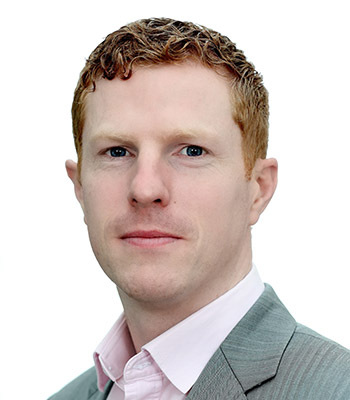 During his time in PwC Andrew was the UK Firm’s lead for housing in alliance with PwC’s Middle East firm and gained considerable exposure to working in the Kingdom of Saudi Arabia including leading on business development activity and delivering advisory assignments for the Ministries of Finance and Housing. 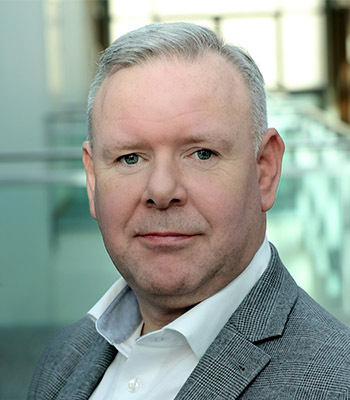 Andrew spent over a decade in senior executive leadership and Board level roles within Gentoo Group, one of the UK’s largest housing associations, owning 30,000 homes and operating several commercial subsidiaries. Andrew was Chief Financial Officer, Deputy Group Chief Executive and was a Group Board Director. Under Andrew’s financial leadership Gentoo grew its balance sheet from £250 million to above £1billion and doubled annual revenues to £150 million. Andrew is a qualified accountant and member of the Chartered Institute of Public and Finance Accountancy. Jose joined WElink in 2015 and is the Group Business Development Director LATAM with WElink Energy. He is based in WElink’s offices in Quito (Ecuador), where he is currently assembling and managing a team of professionals focused on the business development for WElink Energy in the region. Jose speaks Mandarin and has over 15 years of experience in working with Chinese companies and managing renewable energy, transmission lines, distribution equipment and procurement. Prior to WElink, during his time in China, Jose worked in purchasing, quality assurance, quality control, contract negotiations and as a close advisor for the international business divisions of top tier Chinese companies. He holds a double major in International Business and Marketing from Palm Beach Atlantic University, Florida, USA. Leading China SOE, with assets of ca £16 Billion. 228,000 employees. A fortune 500 company and the world’s largest provider of building materials. No. 1 in glass, cement, and gypsum manufacture and leader in steel, wood and composites. Extensive track record and experience in building materials, construction & financing infrastructure projects worldwide. CNBM provides strategic support and financial funding for the construction of WElink’s energy and housing projects. WElink contracts with CNBM through CTIEC, it’s wholly owned Engineering Procurement and Contracting subsidiary. WElink identifies and evaluates projects that are suitable for development and negotiates commercial terms with its development partners. CTIEC contracts for construction of the projects including providing construction phase finance. WElink retains responsibilites for delivering the project with CTIEC’s support. WElink is responsibility for operations and maintenance of the project including final sale.